Over the past few months, tensions on the University of Michigan campus have been growing as a result of actions taken by a group of more than 20 predominately minority student organizations, who have staged a boycott of The Michigan Daily, the student newspaper. Protests were sparked by the caption of “Buckwheat sings” under a picture of the mixed-race American Idol contestant Justin Guarini, which served as the final breaking point for the widening consensus that the Daily has overstepped the bounds of “simple errors” too many times for its actions to be taken lying down. Students demanded that steps be taken to prevent such mistakes from occurring again. What they got instead was a half-hearted and masked editorial apology, acknowledging that the Daily wished to address the concerns of the minority students, “real or imagined.” Put another way, all the students got were words and no action. It was for this reason the students have been boycotting since Oct. 1. Many otherwise liberal students may find themselves shaking their heads, not understanding why the boycotters would choose such a path of action instead of attempting to “integrate” into the newspaper and create change from within. Some have even gone so far as to call the boycotters’ activities “counterproductive” to their goals. This is like saying the Montgomery Civil Rights activists were going against their objectives by boycotting the bus system instead of having an open dialogue with the city. This hypothetical argument is as demeaning as it is preposterous because it completely fails to recognize the larger aims of the Montgomery bus boycott. The boycott was not about African Americans wanting to sit where they chose on a bus; it was about furthering the goal of racial equality in America. Similarly, the Michigan boycott is not about whether any group of students should have control over a college newspaper. It is about combating racism and setting a standard of racial equality on campus. The new battles of combating racism will not be waged in the cornfields where the Klan rallies of my Ohio upbringing took place—the views of that select and diminishing segment will never again be accepted in mainstream society—but rather we must be vigilant about the proxies through which their biases still find an outlet. The current fight is against the subtle, yet painfully consistent, message of bigotry that language and demeanor can convey. Even more insidious can be the manifestation of racism when these attitudes are recognized and tacitly accepted by those in position to prevent it. According to a 2001 Gallup Poll that was reported by the Newhouse News Source, 62 percent of whites and 91 percent of African Americans believe that we haven’t yet reached racial equality in America. Even putting aside the huge gap in perception, there is undeniable consensus that racism is still a part of the mainstream. If not perpetrated by extremists, how then is such a feeling so thoroughly ingrained in our culture? Through the very nature of our dialogue. 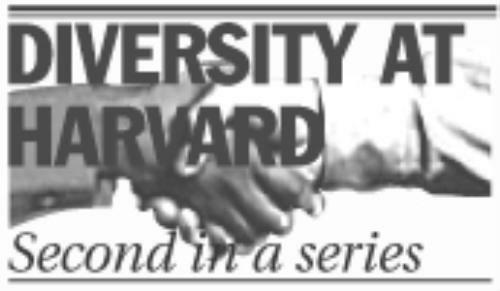 In the case of the Daily, as posted on the boycott’s website, these subtleties were seen in “[t]he misidentification of faculty, administrators, and guest speakers of color in picture captions,” “[a] general lack of representation and coverage of minority events, programs, and issues,” “[t]he frequent misspelling of minority student names” and in “[t]he application of stereotypes to manipulate the perception of minorities.” In many ways, the subtleties are more harmful than any blatantly racist remark because their nature cannot be proven with the hard facts that society has come require as a prerequisite for action. As the campus newspaper, the Daily is by default the forum that sets the tone of acceptability. The boycotters understand that merely to comply with the Daily and offer their angry words in retort would never truly solve the problem at hand. What would have happened, as has happened many times in the past with newspapers across the nation, is that there would have been a “dialogue” and the same instances of blatant and subtle racism would continue. The students instead sought to take action through the boycott, hoping that this action would force the paper not only to recognize its mistakes but also to actually implement true reforms. The crux of their recommendations is that the paper work towards the “creation of a comfortable and inclusive work environment for students of color.” They proceed to offer concrete suggestions for implementing these reforms that address both the inner reporting mechanisms—such as assigning one reporter to each large community of color and ensuring that the staff receives cultural sensitivity training. Also addressed is the actual composition of the material they publish, such as a “yearly report published by the Daily on student of color affairs and resources.” They even suggest a forward-thinking enforcement mechanism to prevent the all-too-common relapses by calling for the establishment of a standing advisory board on multi-ethnic affairs. Some have argued that these measures are excessive because they would take away from the paper’s “hard-earned money.” But what is the alternative? We all acknowledge that something must be done about the atmosphere that created these problems, but if not training and the monitoring of progress, then what? All that’s left are words. However, mere words cannot solve what years of action have done. Words are a beginning, not an end. If we as a nation wish to see true progress made in race relations, the first thing newspapers like the Daily need to learn is that “sorry” isn’t enough. Priscilla J. Orta ’05 is a history concentrator in Leverett House. She is a member of the executive board of RAZA.